Merry Christmas to everyone who celebrates and happy holidays to those who celebrate other special days or nothing at all! As with every Christmas, it's going to be a very, very busy day for me but I wanted to put together a round up of all 12 of the nail art looks that I did for my 12 Nails Of Christmas - and include a few that didn't make the final cut. It's been a very, very busy month for my nails, I must say. So without further adieu, keep reading to see all 12 looks plus a few that haven't been featured on the blog yet, and click the links to head over to the original post to see how I got the look! I wanted to keep it simple and cozy to start with these pink and brown reindeer nails. 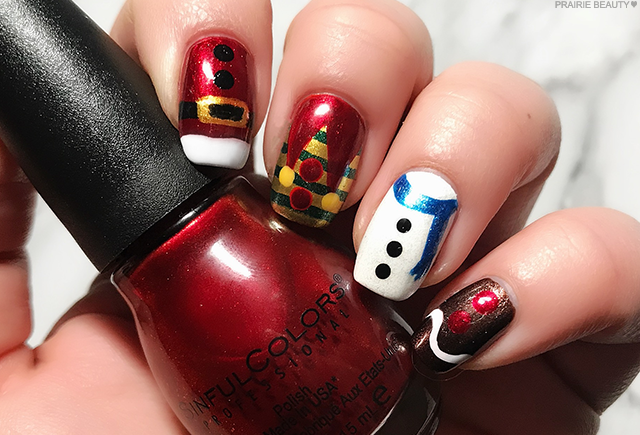 I have to admit, I was a little bit drawn to non-traditional holiday nail art this year, and I think this manages to evoke something comfy with a hint of the holidays without being too full out. 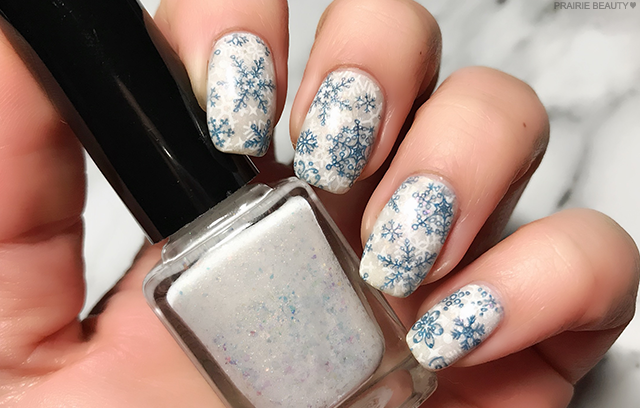 I leaned pretty heavily on snowflakes this year and I think they're one of the best go to holiday nail choices because there's a pretty delicacy to them, but they don't necessarily evoke any specific holiday so they kind of just work for all of them! 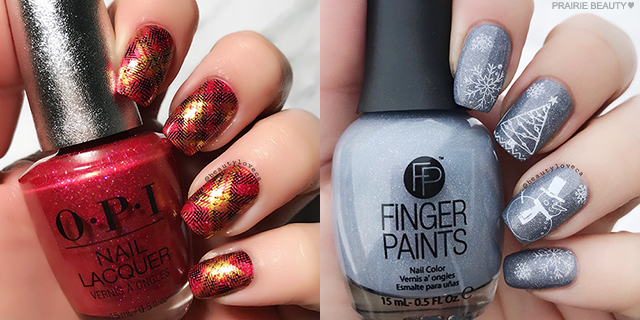 Plaid nails are kind of my signature these days, so I obviously had to do some holiday ones. 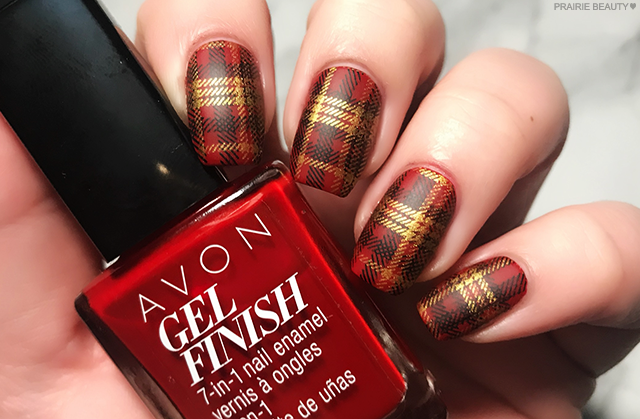 I feel like the classic pairing of red, black and gold for this look really evokes Christmas without being too on the nose, and the matte finish gives it a little bit of sophistication and really pops the pattern. There was always going to be sweater nails in my 12 Nails Of Christmas, but I decided that I wanted to stick with base shades that were a little more cool toned and non-traditional, so I went with the silver and pink holo shades from the NailsInc Holler-Graphic Duo and I feel like it's really pretty and different. 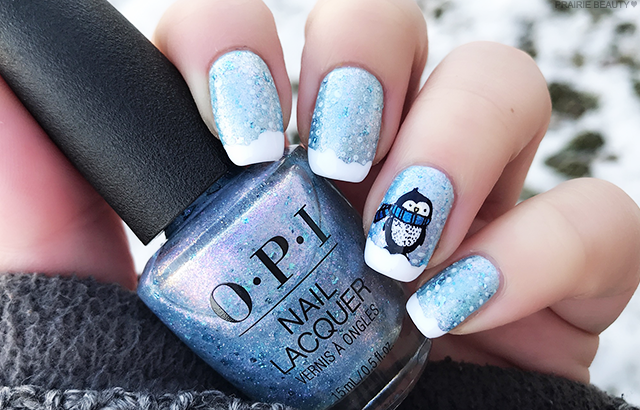 I absolutely love this mani and I really do think that a beginning without any nail art tools could absolutely recreate this one minus the penguin for a really cool winter nail art look. I love that you get a sort of french tip look, but because it's meant to be snowy, it's a little less precious and you can just dot it on. 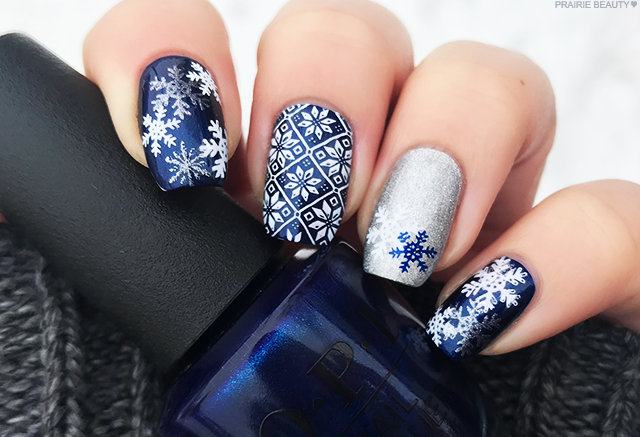 I really, really wanted to pair navy and silver together for a look and when I sat down to do it, I basically knew that I was going to have to default to my two favorite holiday nails things - snowflakes and sweaters. The nice thing about this one for me is that it feels festive, but it isn't specifically aimed at any of the solstice-adjacent holidays! 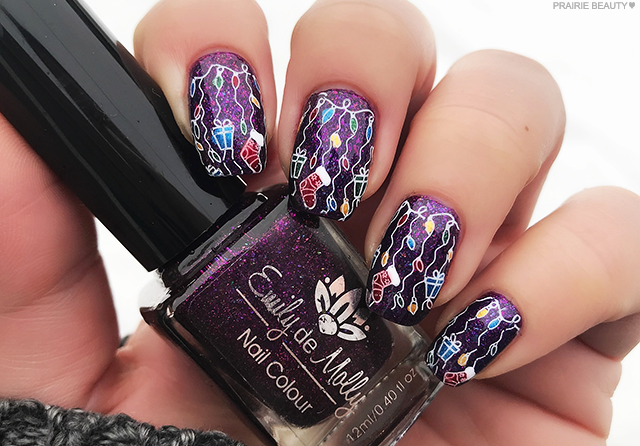 When I decided to reverse stamp this cascading twinkle lights look, I thought about going really traditional, but ultimately decided that I would rather choose a base that went in a different direction and keep things a little different, so I used this gorgeous shade from Emily de Molly that has a deep purple base and a whackload of flakies in it. Hearteyes! 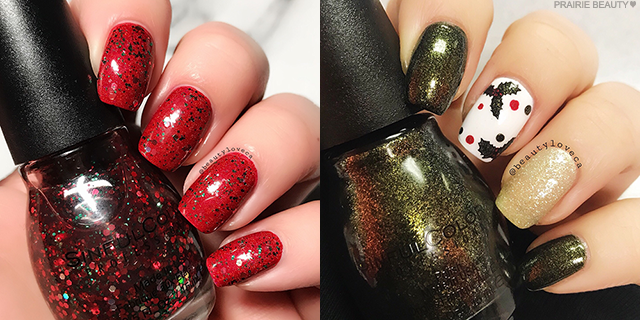 I really, really wanted to do some snowman nails, so I went with this really simple line design.For the base, I layered Finger Paints Red Rocket with red glitter and a holo top coat to get a really interesting base, and I feel like it ended up looking really cool. I also feel like the contrast of the white on the red made this a really impactful look. 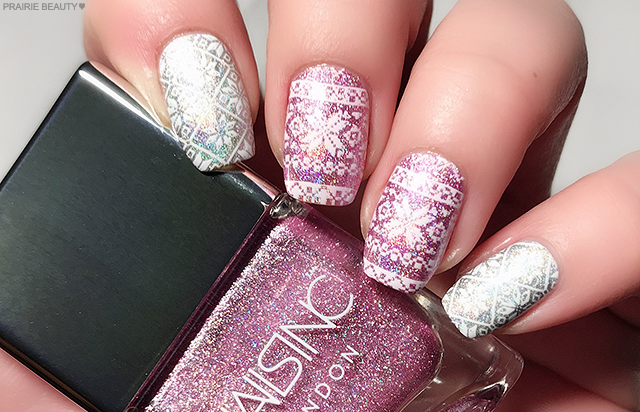 This mani was by far my most intense because I really layered up sheer polishes, glitter and stamping to create a really intricate base. 10 layers of polish! 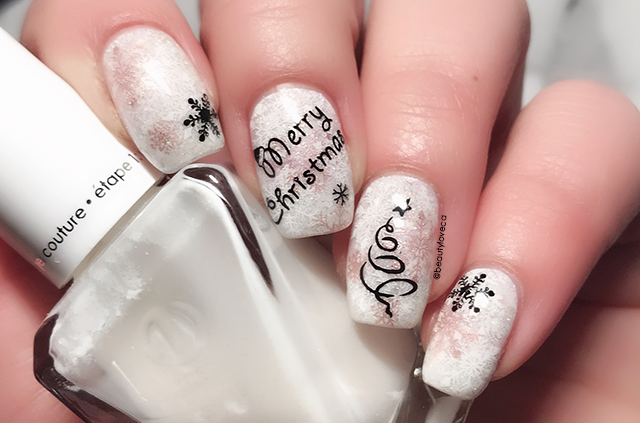 I then added the black accented stamping to amp up the holiday feel of it and give it a Christmas-y look, if a little bit more contemporary than classic in feel. 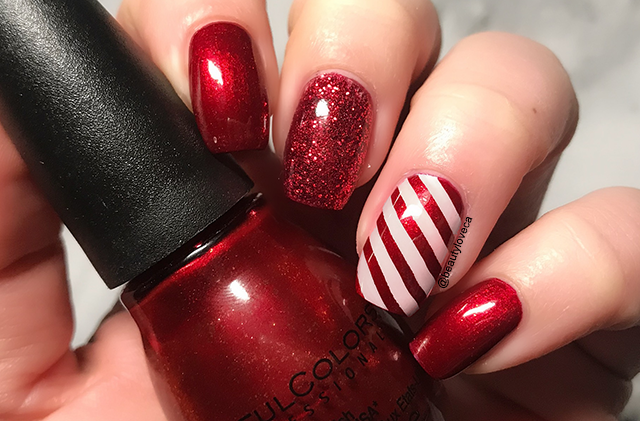 I wanted to keep it simple for this look and give a classic candy cane look to the nails. I started with Sinful Colors Sugar Sugar because the red tone and intense shimmer is just gorgeous. After that I added red glitter to my middle finger and some simple white stamping for the candy cane look on my accent nail. 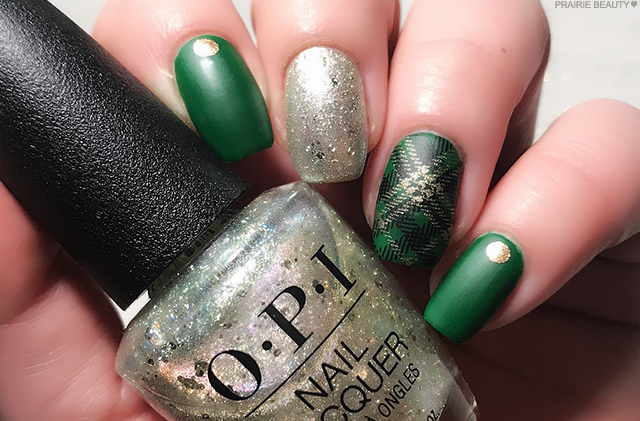 For this 12 Nails Of Christmas, there obviously needed to be a green look, so I grabbed the greenest green in my collection, paired it with gold accents and a white gold glitter nail, and then added some simple plaid stamping for impact. I loooooooove this mani and couldn't stop staring at it. 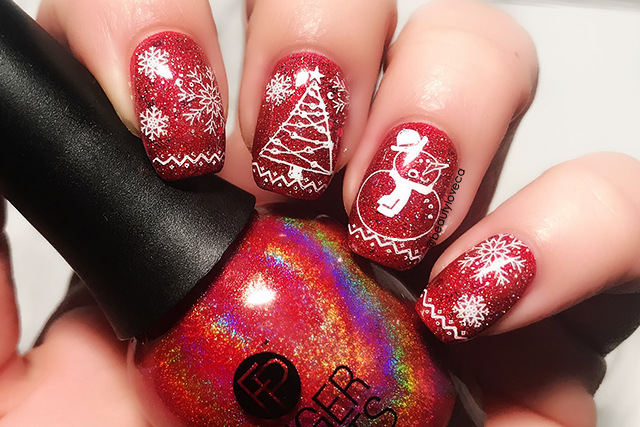 After 11 days of stamping, I had to face my nemesis and put together a mani that was complicated, distinctly Christmas-y, and hand painted. I'm actually pretty happy with how it turned out and... maybe a little bit tempted to try a little bit more hand painting in the future. 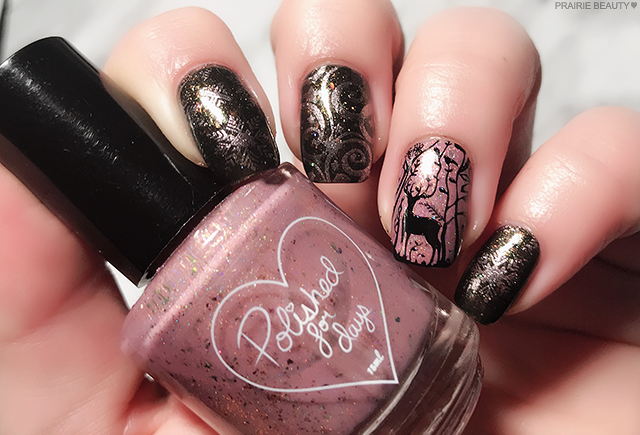 The thing that's great about this look is that it's super impactful and intricate without actually being super difficult - which is important with my less-than-stellar hand painting skills! All of the mani's that didn't get featured either just didn't make the cut for me or I redid them to be slightly different - specifically the first two, as I'm sure you can tell. 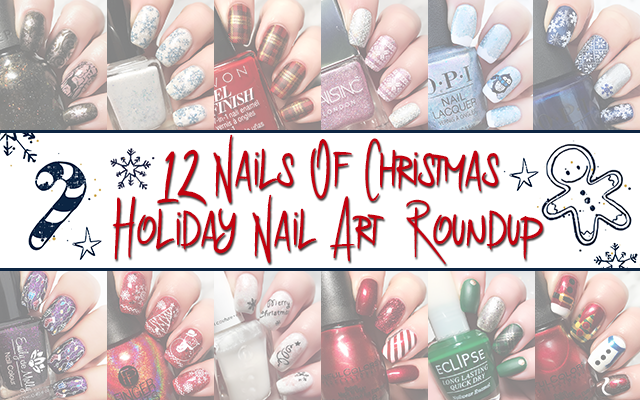 There's just so much you can do with your nails during the holidays, so I went a little bit mad with power! Muahhahaha! Again, I hope you all have a safe and happy holiday season with whomever you choose! 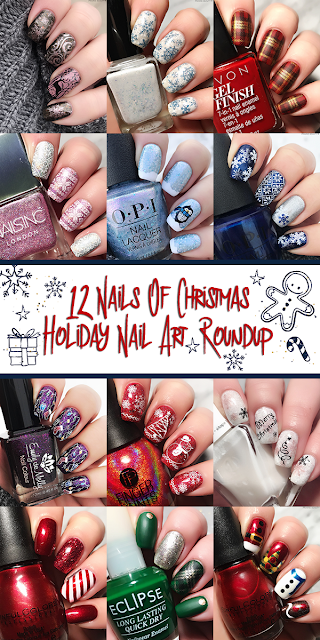 Thank you so much for checking out my 12 Nails Of Christmas - it was really fun for me and I hope it was for you too! Much love and best wishes!